AWS IoT SiteWise is a managed service that makes it easy to collect and organize data from industrial equipment at scale. You can easily monitor equipment across your industrial facilities to identify waste, such as breakdown of equipment and processes, production inefficiencies, and defects in products. Today, getting performance metrics from industrial equipment is tough because data is often locked into proprietary on-premises data stores and typically requires specialized expertise to retrieve it and put it in a format that is useful for searching and analysis. IoT SiteWise simplifies this process by providing software running on a gateway that resides in your facilities and automates the process of collecting and organizing industrial equipment data. This gateway securely connects to your on-premises data servers, collects data, and sends the data to the AWS Cloud. You can run the IoT SiteWise software on an AWS Snowball Edge gateway or install the IoT SiteWise software on popular third-party industrial gateways. These gateways are specifically designed for industrial environments that are likely already in your facilities connecting your industrial equipment. You can use IoT SiteWise to monitor operations across facilities, quickly compute common industrial performance metrics, and build applications to analyze industrial equipment data, prevent costly equipment issues, and reduce production inefficiencies. With IoT SiteWise, you can focus on understanding and optimizing your operations, rather than building costly in-house data collection and management applications. Assess the performance of your industrial equipment remotely, across locations, with AWS IoT SiteWise. Before, you had to dispatch a technician to diagnose a problem and then send another technician to fix the problem. Now, you can remotely diagnose a problem and only dispatch technicians when needed to fix issues. You can spend less time coordinating on-site diagnostic activities and let your engineers focus on what they do best: understanding your operations and designing better systems. With IoT SiteWise, you can gather data reliably from multiple facilities, structure it, and make it accessible and understandable—without developing additional software. You can index information and metrics about equipment or processes across all sites, so it’s readily available for applications. AWS IoT SiteWise has the data collection and management capabilities you need built right in. So, you can invest your development resources on new applications that help you learn more from your data. Visibility across industrial facilities allows you to streamline operations, as well as identify gaps in production and waste. With the customizable views in IoT SiteWise, you can create models of industrial processes and bring together and organize historical sensor data streams from production lines across multiple facilities. Industrial engineers have the visibility to react to issues or identify differences across facilities. This makes it easy to create a centralized, authoritative source of information to better understand your operations, improve processes, and reduce waste across your entire organization. 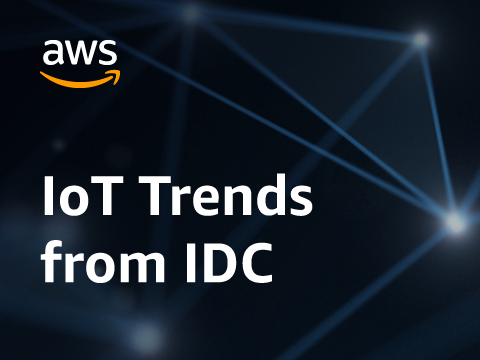 With AWS IoT SiteWise, you can easily collect and use data from your equipment to identify and reduce inefficiencies and improve industrial operations. IoT SiteWise helps you collect data from manufacturing lines and assembly robots, transfer it to the cloud, and structure performance metrics for your specific equipment and processes. You can use these metrics to understand the overall effectiveness of your operations and identify opportunities for innovation and improvement. You can also view production line output for a particular product to assist in production planning and to identify equipment and process deficiencies, production gaps, and product defects. Food and beverage industry facilities handle a wide variety of food processing, including grinding grain to flour, butchering and packing meat, and creating, cooking, and freezing microwaveable meals. These processing plants often span multiple locations with analysts in a centralized location monitoring equipment, such as refrigeration units, ingredient expiration, and waste creation across sites to ensure proper food storage and handling guidelines are met. With AWS IoT SiteWise, you can group sensor data streams from multiple locations by production line and facilities so your analysts can better understand and improve processes across facilities. Companies often deploy their power-generation assets in remote areas, far from the technicians who are trained to fix the equipment. When an issue arises, the technicians receive a notification, travel to the site to diagnose the problem, and then make another trip to fix it. With AWS IoT SiteWise, you can resolve equipment issues easier and more efficiently. You can monitor asset performance remotely in real time and access equipment data from anywhere to pinpoint potential problems, dispatch the right resources, and fix issues faster. 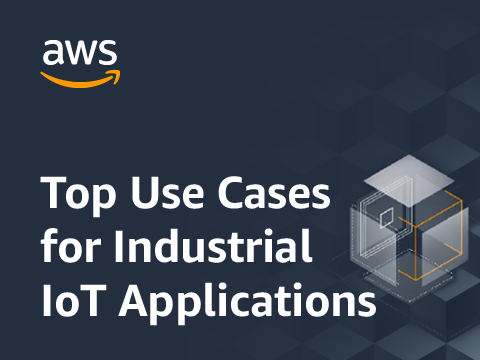 AWS IoT SiteWise makes it easy to collect, structure, and search IoT data from industrial facility databases and use it to analyze equipment and process performance. See the benefits of AWS IoT SiteWise firsthand. In the preview? Access the AWS IoT SiteWise Console.